SACRAMENTO, Calif. /California Newswire/ — This week, Calif. Assemblymember Sabrina Cervantes (D-Corona) introduced her first bill at the State Capitol. The bill, Assembly Bill 91, would help ease late-night traffic jams in Riverside County by allowing single-occupancy vehicles to use high-occupancy vehicle (HOV) lanes, commonly known as “carpool lanes,” during non-peak traffic hours. In Southern California, carpool lanes are commonly “full-time operation,” meaning they are enforced 24 hours a day, 7 days a week. AB 91 would convert carpool lanes in Riverside County to “part-time operation,” which is common in Northern California. “Part-time operation” limits carpool lane access to high-occupancy vehicles only during peak traffic hours on weekdays. At all other times, single-occupancy vehicles would also be allowed to use carpool lanes. AB 91 would make an exception for paid toll lanes, such as the 91 Freeway Express Lanes. AB 91 will next be referred to an Assembly policy committee by the Assembly Rules Committee. 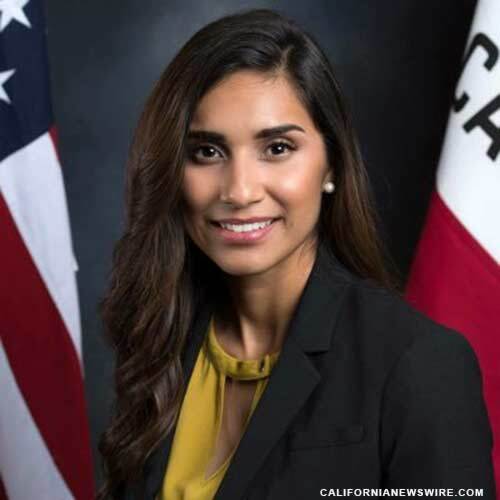 Sabrina Cervantes represents the 60th District in the California State Assembly, which encompasses the communities of Corona, Eastvale, Jurupa Valley, Norco, and a portion of the City of Riverside.